*Escape from the Past: The Duke’s Wrath (Deal, Not Free) by Annette Oppenlander. Price: $0.99. 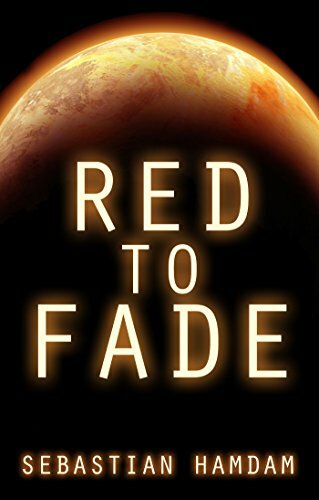 Genre: Historical Fiction Deal of the Day, Sponsor, YA Science Fiction, YA Time Travel Adventure. Rated: 4.7 stars on 37 Reviews. 300 pages. ASIN: B00YZ9C956. *Space Cruiser Musashi: a space opera novel by Dean Chalmers. Price: Free. Genre: Military Science Fiction of the Day, Sponsor, Space Opera. Rated: 5 stars on 3 Reviews. 311 pages. ASIN: B01DLHCVQE. *The Hunted Tribe: Book 1: Declaration of War (Deal, Not Free) by Roma Gray. Price: $3.99. Genre: Dystopian Science Fiction Deal, Sponsor, Fiction. Rated: 4.8 stars on 21 Reviews. 280 pages. ASIN: B01CUMUZI2. Free For Kindle Unlimited. *Rewind 717 by Christian Kallias. Price: Free. Genre: Science Fiction, Cyberpunk, Time Travel. Rated: 5 stars on 5 Reviews. 224 pages. ASIN: B01M5EYMPM. *A Pisa The Action: A Time Travel Short Story by Rob Guy. Price: Free. Genre: Time Travel Science Fiction, Sponsor, Short Stories. Rated: 5 stars on 1 Reviews. 30 pages. ASIN: B007YP5WMU. *Warblegrub & the Forbidden Planet (The Warblegrub Trilogy Book 1) by Andrew Barlow, Michael Kerin. Price: Free. Genre: Post Apocalyptic Science Fiction, Sponsor. Rated: 5 stars on 3 Reviews. 135 pages. ASIN: B01CX1HAO2. Bug Out Boat Survival (Aftermath Survival Book 3) by Ron Foster. Price: Free. Genre: Science Fiction Anthologies, Post-Apocalyptic, Dystopian. Rated: 4.6 stars on 5 Reviews. 273 pages. ASIN: B01M4JB7KK.